The origins of this book go back to the first electron microscopic studies of the central nervous system. 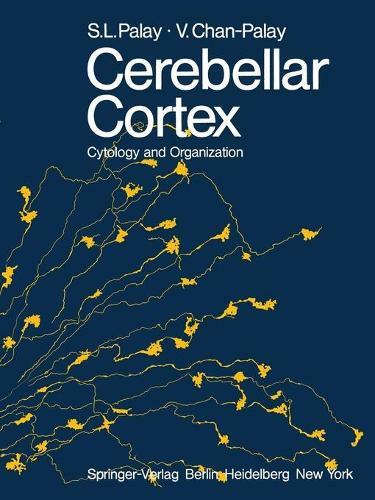 The cerebellar cortex was from the first an object of close study in the electron microscope, repeating in modern cytology and neuroanatomy the role it had in the hands of RAMON y CAJAL at the end of the nineteenth century. The senior author vividly remembers a day early in 1953 when GEORGE PALADE, with whom he was then working, showed him an electron micrograph of a cerebellar glomerulus, saying "That is what the synapse should look like. " It is true that the tissue was swollen and the mitochondria were exploded, but all of the essentials of synaptic structure were visible. At that time small fragments of tissue, fixed by immersion in osmium tetroxide and embedded in methacrylate, were laboriously sectioned with glass knives without any predetermined orientation and then examined in the electron microscope. After much searching, favorably preserved areas' were studied at the cytological level in order to recognize the parts of neurons and characterize them. Such procedures, dependent upon random sections and uncontrollable selection by a highly erratic technique of preservation, precluded any systematic investigation of the organization of a particular nucleus or region of the central nervous system. It was difficult enough to distinguish neurons from the neuroglia.